Classic NES platformer Mega Man 6 is available to download now from the Nintendo 3DS Virtual Console in Europe. As is the norm for eShop releases, Rockman's 1994 adventure was originally scheduled for release this Thursday, but seems to have been released early in celebration of the 'Mega Man Special' currently featured on Nintendo's online store. During Nintendo's E3 Direct broadcast, we learned that the man in blue had secured his spot in the illustrious roster for the upcoming Super Smash Bros. game, and this downloadable version marks the first ever release of Mega Man 6 in Europe. 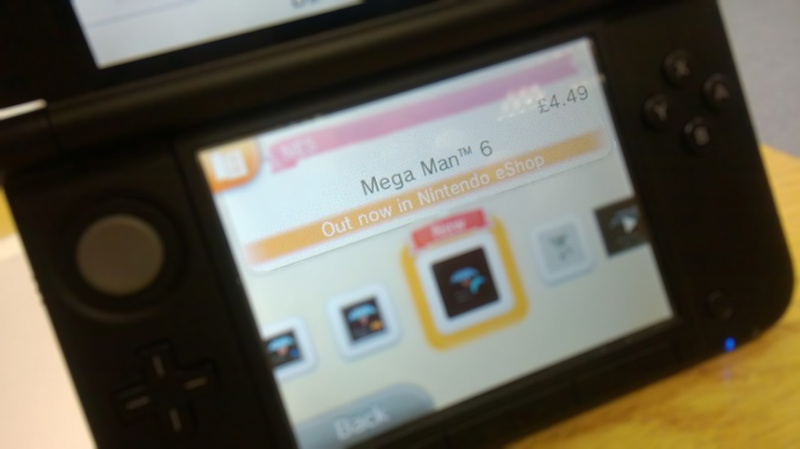 You can download Mega Man 6 from the European Nintendo 3DS Virtual Console now for £4.49/€4.99. On fire! My second post that is the first comment on an article. As far as Mega Man 6, yea! Doesn't this mark the first time Mega Man 6 has been released in Europe? I'm still waiting for MM6 to be released on the Virtual Console. It's ridiculous that they've never released that yet. ... Don't get your hopes up guys. It's not very good. Not very good????? It's great, FAR better than MM4 and MM5. @berenlazarus I disagree, but to each his own. 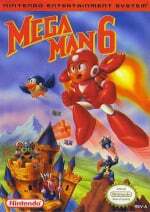 Doesn't this mark the first time Mega Man 6 has been released in Europe? According to the article you just commented on, yes. Does this mean Mega Man 6 will be on the 3DS eshop this Thursday? @SparkOfSpirit I find 6 to be underrated, but it's your opinion. I still don't understand why this never made it to the Wii virtual console. Hopefully it comes to the Wii U VC as well as MM 7 and X3. Yeah, I didn't read the whole (short) article, obviously But really, this game is a lot better than 4 and 5. Is the US getting MM6 this Thursday as well? Sorry but Mega Man 6 was not as good as some of you thought it was. To each his or her own when it comes to what they think about this particular entry but I was disappointed after I bought, played and beaten this NES game back in '94. It means that it's already on the eshop since yesterday, obviously. I downloaded it on 3DS e-shop, but I rather had it on the Wii! Besides, the controls feel weird! @KeeperBvK He was talking about the NA eshop. Rockman 6: Shijō Saidai no Tatakai! !